Minister of Energy and Mineral Resources Ignasius Jonan on Friday (12/4) at the PLN Load Control Center (P2B) in Gandul, Depok, West Java monitored electricity supply and the readiness of state-owned electricity company PLN ahead of the 2019 Presidential and Legislative General Elections. The Minister said that electricity supply in general has been safe, so electrical disruptions during the elections can be avoided. 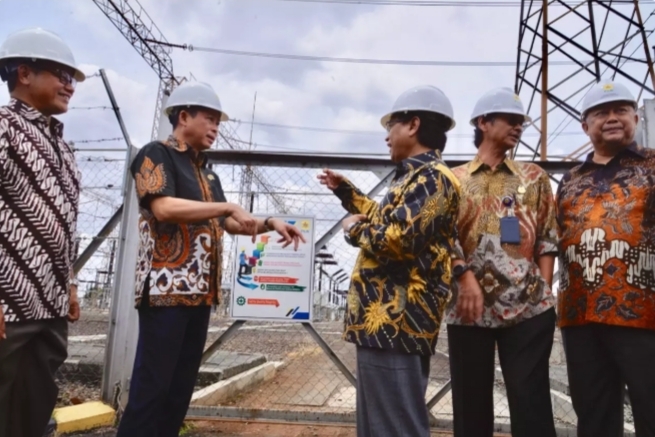 Jonan added that he has also instructed related officials to monitor the details of the preparation for securing electricity supplies up to PLN’s district units. The Workshop for Strengthening Public Service Quality to Develop Integrity Zone within the Supreme Audit Board (BPK RI), at the BPK Office on Thursday (11/4). Photo by: PR of Minister of State Apparatus Empowerment and Bureaucratic Reforms. 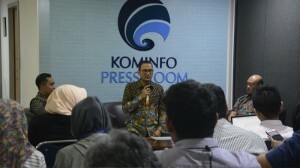 Minister of State Apparatus Empowerment and Bureaucratic Reforms Syafruddin said that the development of the Integrity Zone in Government working units must be accelerated and every working unit should immediately achieve the status of Corruption-Free Zone (WBK)/Clean and Serving Bureaucratic Zone (WBBM). “Don’t delay the development of integrity zone. Corruption-Free Zone, and Clean and Serving Bureaucratic Zone are in line with the culture and values ​​of the BPK which is independent, clean, and professional,” the Minister said in his remarks during the Workshop for Strengthening Public Service Quality to Develop Integrity Zone within the Supreme Audit Board (BPK RI), at the BPK Office on Thursday (11/4). 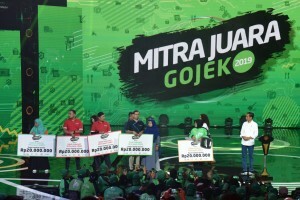 In the past four and a half years, the Government has been focusing on three aspects in developing digital economy, according to President Joko “Jokowi” Widodo. 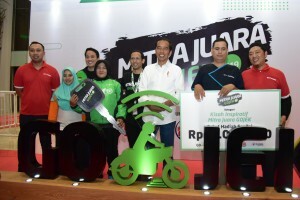 “The first one is to create digital infrastructure, be it through a broadband connection or by building a Palapa Ring from Sabang until Merauke, from Miangas until Rote Island that we hope will be 100% completed in the middle of this year,” the President said during a gathering with driver partners of ride-hailing app Go-Jek in Ancol, North Jakarta, Thursday (11/4). 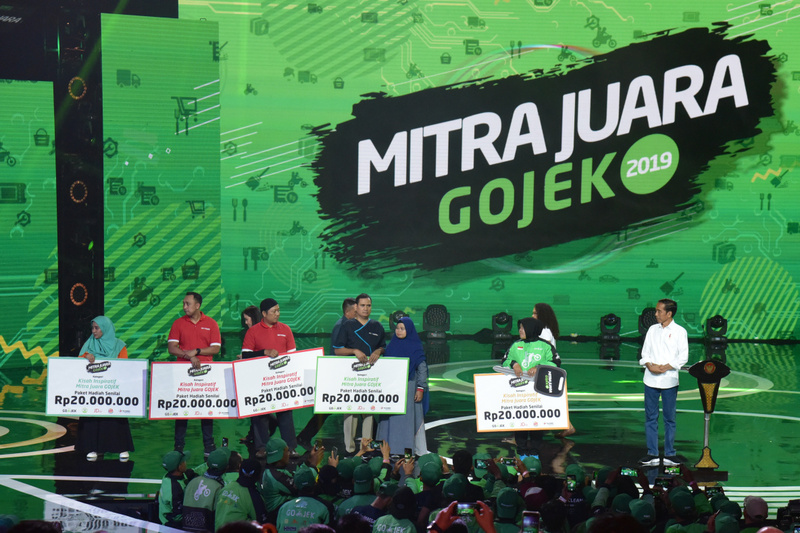 President Joko “Jokowi” Widodo has congratulated ride-hailing app Go-Jek for becoming Indonesia’s first decacorn after its valuation hit US$10 billion according to research institution CB Insights, in its Global Unicorn Club report. 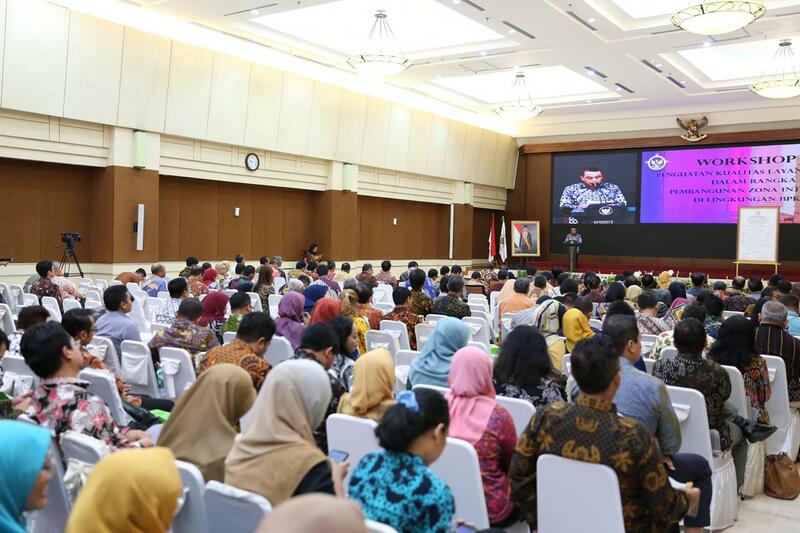 “Undeniably, digital economy gives a big hope for our economic growth in the future. We know that in 2018 the portion of digital economy already reached US$27 billion,” the President said during a gathering with Go-Jek partners in Ancol, North Jakarta, Thursday (11/4). 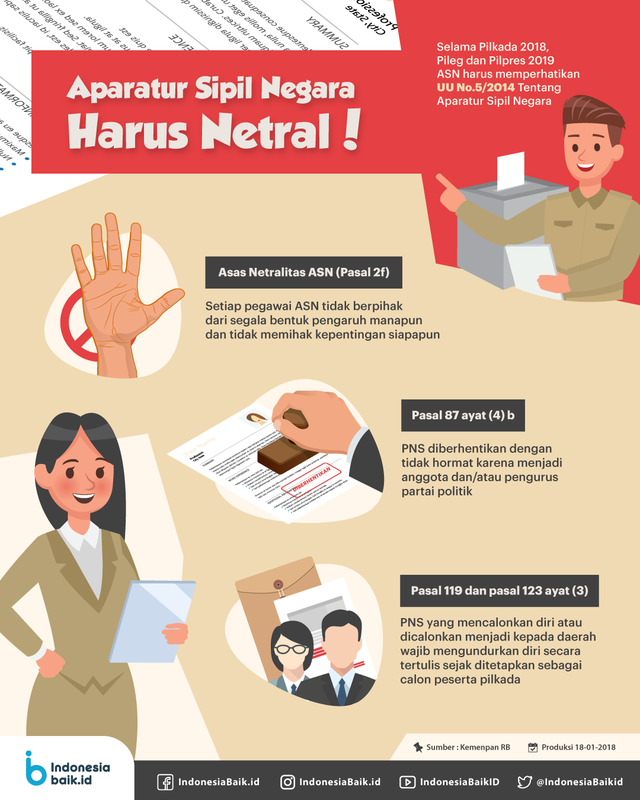 The National Civil Service Agency (BKN) from January 2018 to March 2019 recorded 900 cases of violation of state apparatus neutrality ahead of the 2019 General Elections. 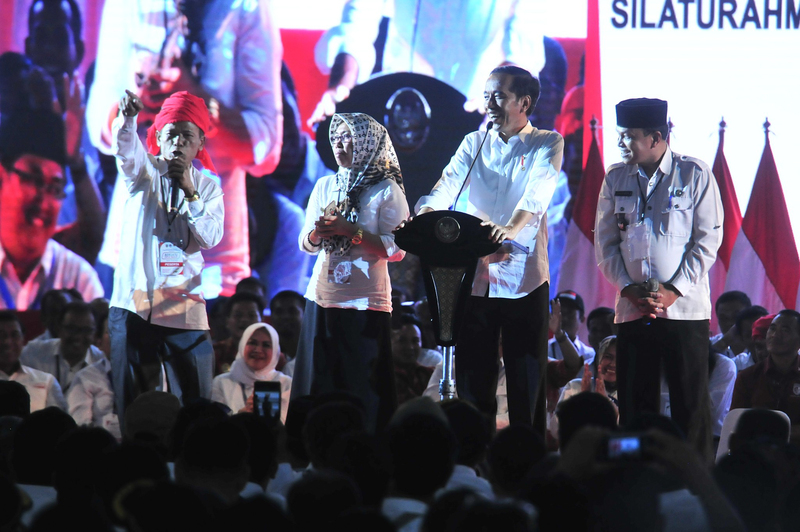 The data shows that 99.5 percent of the cases are dominated by state apparatus working for regional governments including provinces, regencies, and municipalities. Violations of Government Regulation Number 53 of 2010 on Discipline of Civil Servants (PNS) Article 3 Number 11 on Compliance with Working Hours has once again dominated disciplinary violations involving civil servants. 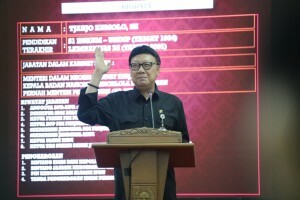 The Civil Servants’ Personnel Advisory Agency (BAPEK) together with Cabinet Secretariat, Attorney General Office, and Ministry of Administrative and Bureaucratic Reforms on Thursday (11/4) held a meeting to discuss violations committed by civil servants at both central government and regional governments at the central Civil Service Agency (BKN) office. 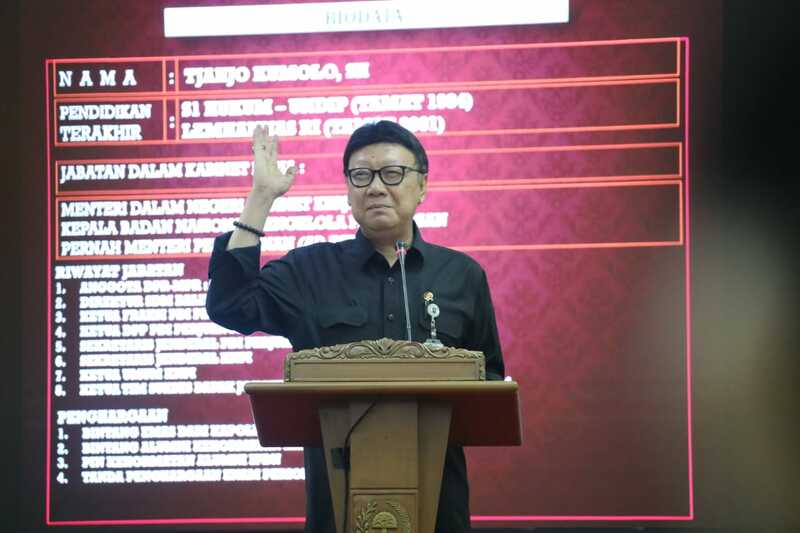 In response to an issue of voted ballots for the presidential candidate pair number 01 Jokowi-Ma’ruf found in Malaysia, Ministry of Home Affairs urged the public to wait for the official information from the General Elections Committee (KPU). 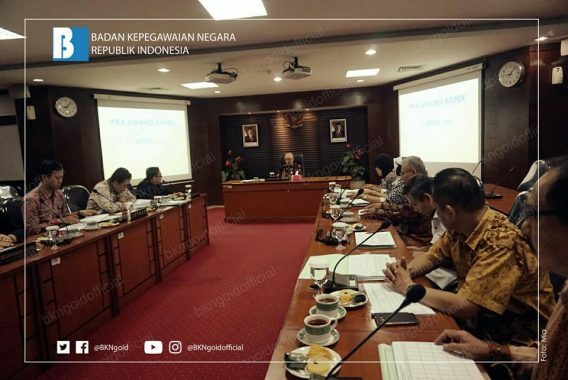 “We are still awaiting an explanation from the KPU team who are still investigating the matter,” Minister of Home Affairs Tjahjo Kumolo said. 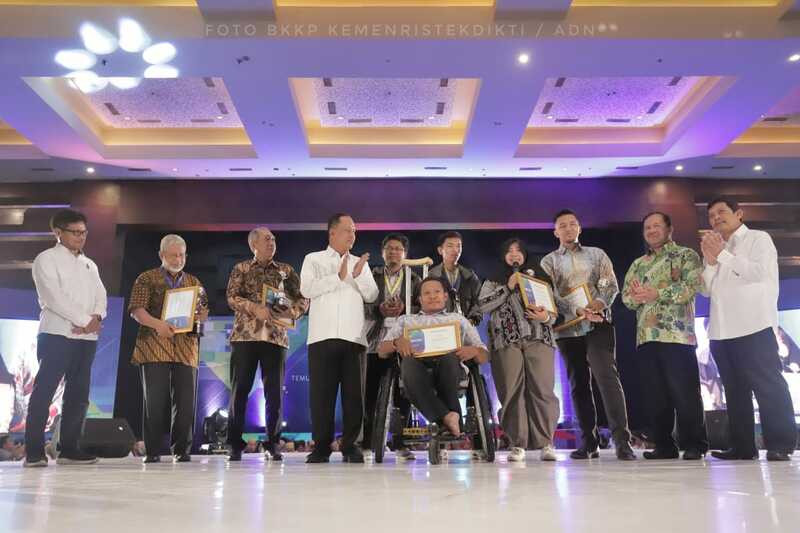 President Joko “Jokowi” Widodo said that in the past 4.5 years, Village Funds have been used to enhance village development such as constructing 191,000 kilometers of village roads, 24,000 Integrated Health Posts (posyandu), 50,000 Early Childhood Education Program (PAUD) centers, and 8,900 village markets. “Village Market is important since it is a place where all products from farmers, fishermen and micro-village businesses are bought and sold,” President Jokowi said during the National Gathering of Village Administrators, at Indoor Tennis Stadium, Gelora Bung Karno Sports Complex, Jakarta, Wednesday (10/4).